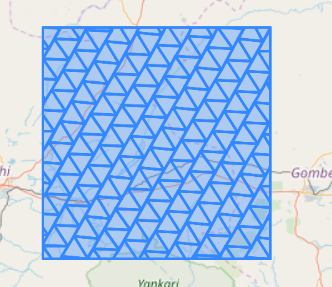 I am looking to create a fishnet of triangles with a specific x,y start location and angle. I essentially want my fishnet to follow the boundaries of a hexagon grid that I have. I found the Jennes repeat shape, but there is no option to anchor it in any way. I would also prefer a method in PostgreSQL. I have been unable to find an example of this using Google. Following is an image of the pattern that I am looking to repeat. 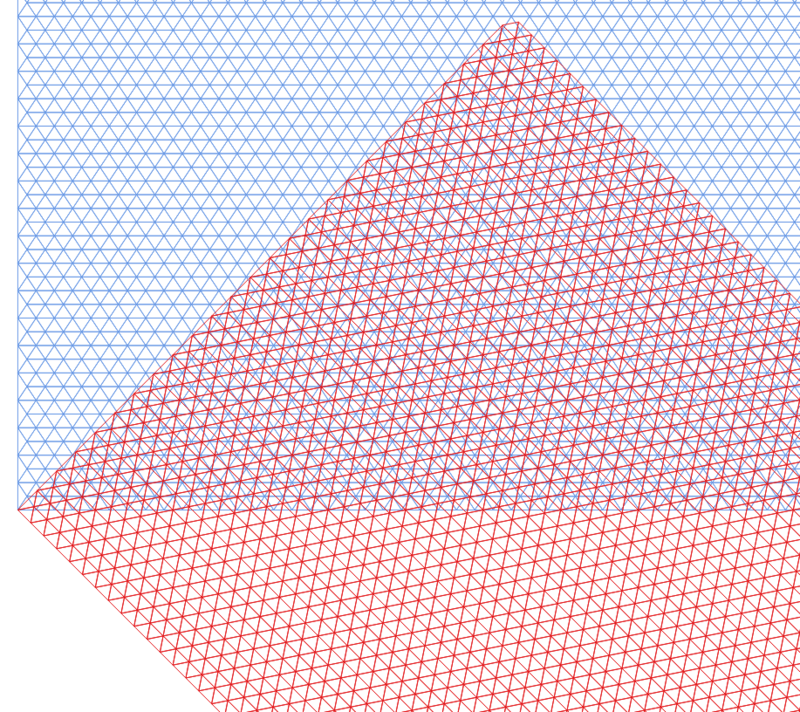 Not only do I want to repeat this pattern, but I need the grid to have a specific anchor point and angle. 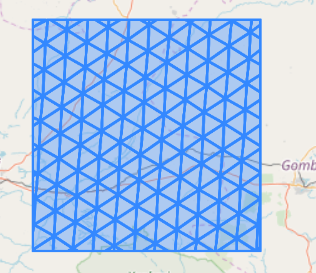 1) Create a hex grid for your source polygon in a convenient way for you and name a new table, for example hex_grid. Here is the simple function for the above question can be use for multiple input of Geometry. Query. The first input is geometry, second cell size and third is an angle for rotation. Function with a different shape. The first input is geometry, second cell size, third is an angle for rotation and forth is to fit the envelope. Query with any geom and fit envelope is false. Query for a simple envelope. Query for specific anchor point by making an envelope. Query 2 and 3 results. 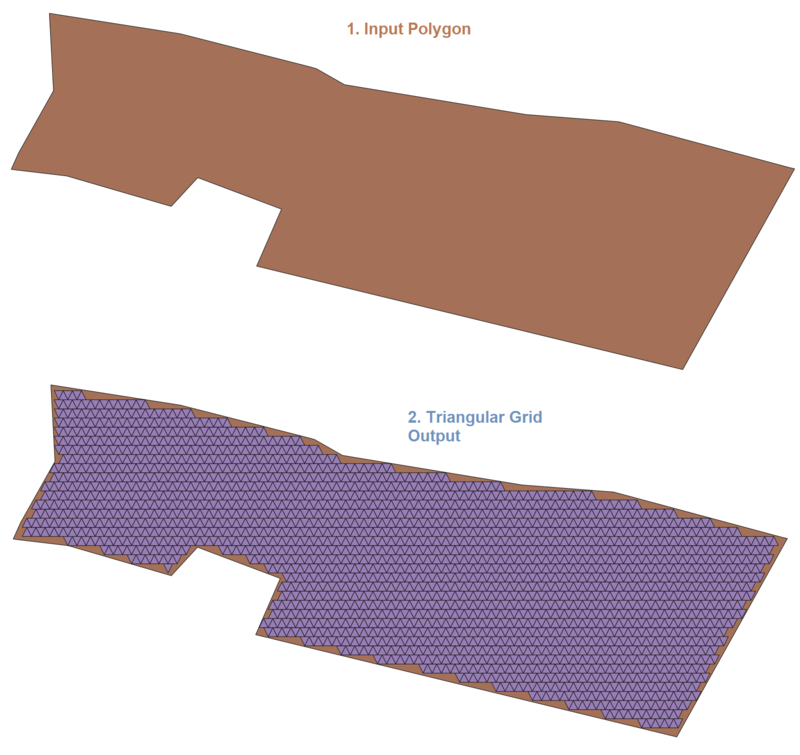 How to create unique plane with PostGIS? Can I use a GeoServer or MapServer service to perform the necessary spatial queries?